The battle began when Tudor’s vanguard advanced and engaged with Richard’s, at some point during the morning of 22nd August 1485. After that much is unclear. No one involved in the chaos of medieval battle could have any idea of what was happening beyond his own immediate surroundings. By piecing together a number of accounts, each from its own perspective, we can recapture some of the key moments and gather a sense of what took place. The order in which they took place, and the cause and the effect between them, is ultimately unknowable. Up to now Richard’s actions that fateful morning have been interpreted in an entirely reactive way. In one such version the king sees a pause in the fighting and fears his soldiers lack the will to carry on the battle. In another, he became suspicious of the uncommitted troops of Northumberland behind him and again imagines that betrayal is imminent. A third has him wishing to forestall intervention by the forces of Sir William Stanley, mid-way between the two armies. Finally there is the suggestion that Richard’s rash and precipitate decision was his undoing, as he led an impetuous and foolhardy cavalry charge directly against his rival. Nowhere has this military initiative ever been seen as a positive and daring attempt to deliver a coup de grâce. 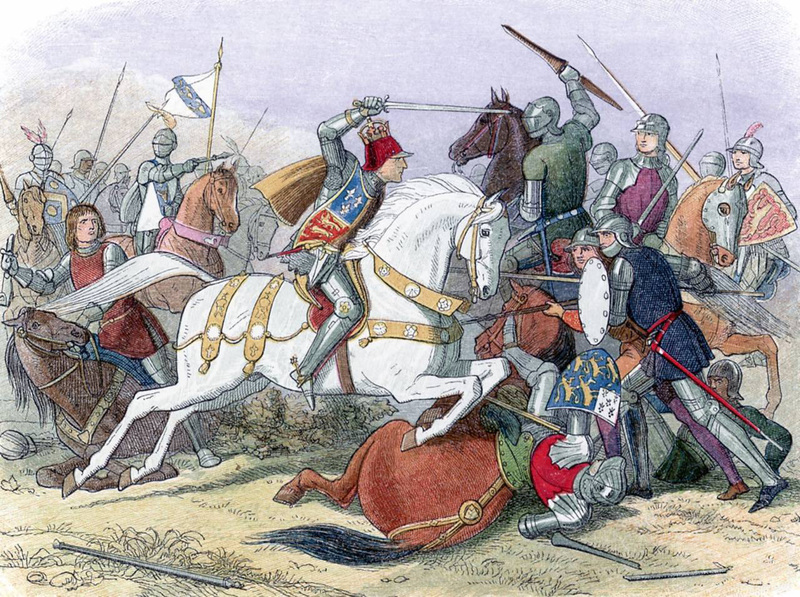 It is clear that at some point Richard caught sight of Henry, who was towards the rear of his own army, accompanied only by a relatively small body of troops. It is interesting to speculate how this separation from most of his man had come about. Henry may have simply failed to keep up with the rapid advance of his vanguard. Even less impressively, he may have been keeping an eye on an escape route should the engagement go against him. But in either case his vulnerability was apparent and it must have come to Richard that this was the moment for a decisive strike which could resolve the issue between them once and for all. Richard now launched his cavalry charge. There are pointers that this was not a desperate gamble or a wild over-reaction. 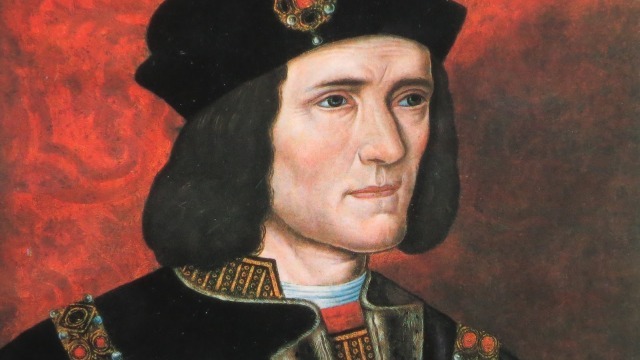 Instead of being spurred on by fear of betrayal or uncontrollable rage at the sight of Tudor, the charge can now be understood as the final act of Richard’s ritual affirmation of himself as rightful King. A sign was given to his men. Richard put an over his armour a loose-fitting robe, showing the royal coat of arms. Chivalric treatises made clear the significance of this. Once a knight displayed his coat of arms ‘in the hour and place of battle’ there was no turning back: ‘in that noble and perilous day, he cannot be disarmed without great reproach to his honour save in three cases: for victory, for being taken prisoner, or for death’. Richard was then seen to don his battle crown and take up his axe. These actions were considered and would send a decisive message to his waiting soldiers. Mounted and readied for combat, they would look to their leader for the signal to advance. The coronation ritual they had earlier witnessed had made clear to them what was at stake and the determination of the king to establish his divinely ordained rule and obliterate the opponent who had dared to challenge it. There was a growing momentum from which it would be hard to draw back. The charge expressed Richard’s deep desire for personal confrontation with Tudor. It was the culmination of his entire campaign. The issue was now to be decided by a duel to the death and the impetus towards this had become unstoppable. Mortal combat between two kings was an idea elaborated in medieval romance and chivalry. In one illuminated manuscript popular at the Yorkist court two crowned leaders are depicted in a fight to the death as their assembled armies look on. Not only Richard, but also those following him would have understood these sentiments and been ready to play their part in enacting them. By the donning of his battle crown Richard gave the signal that such a clash was now imminent. The dramatic inevitability of the two men’s meeting head-to-head was so strong that the tradition survived for over a century and became the powerful conclusion to Shakespeare’s version of the battle. Richard’s mounted force began to move forward, swinging wide to avoid the clashing vanguards before gathering speed to close on Tudor’s position. To gauge its effect, we can now draw on an exciting new source for this crucial phase of the fighting. It is an eye-witness account by one of the French mercenaries in Henry’s army, written the day after the battle, on 23rd August 1485. It has never before been used in a narrative of Bosworth. This French soldier described Richard charging with his entire division, which must have numbered at least several hundred horsemen. It had previously been thought that Richard, unsure of his troops’ loyalty or in too much of hurry, had only gathered a small group of household men. Use of his whole battle line been both a stirring and quite terryfying sight as it gathered speed. Then something completely unexpected happened. The French account hints at the pandemonium among Henry’s own retinue as Richard’s force was sighted. Henry dismounted, to present a less easy target for his opponent, and following a desperate appeal for help, pikemen were hurriedly pulled back from the vanguard to protect him. What is then described is a complex milirary manoeuvre, only recently devised by the Swiss to counter Burgundian cavalry, and first deployed in the battle of Grandson in 1476. We know that the French recruited by Tudor had been drilled in Swiss fashion. Their training enabled them to drop back at a run and close around Henry in a square formation through which cavalry was scarcely able to penetrate. A bristling mass of weaponry would now be presented to the opposing horsemen. The pike was an eighteen-foot long wooden stave with a steel head. It was formidable in tight, unbroken formation. The manoeuvre perfected by the Swiss allowed a reformed front rank to kneel with their pikes sloping up, the second standing behind them with their weapons angled, the third with the pikes held at waist level. No mounted attack could break through such a line. To enact this at speed and over distance required years of training and an instinctive drill technique. It was a tactic Richard could never have seen before, and he had no way of anticipating it when he ordered his charge. There must have been a terrible collision between Richard’s mounted troops and the wall of pikes, the clattering shock of impact followed by sheer chaos as riders crashed into the formation, and those behind into their fellows. Some may have attempted to ride into Tudor’s massed infantry, others, unhorsed, to attack on foot. But the force of the charge was broken, leaving its participants isolated and vulnerable. The French account recollects Richard crying out in rage and frustration, cursing the ranks of pikemen. These seems a genuine memory from someone close enough to hear. Although it is impossible to know exact sequence, it seems likely that at this point Sir William Stanley decided to commit his forces against the king, and his men began to move towards the fighting around Tudor’s banner. The battle was nearing its awful climax. Richard now faced a crisis. Most sources agree that the King’s supporters urged him to flee at some stage of the fighting, and this has generally been placed earlier on, before the cavalry charge. But now, with the charge broken and Stanly advancing, seems the likeliest moment. Richard was offered a horse and told to quit the battlefield and save his life. This suggests that he and his followers had already dismounted and were attempting to break through the pike wall on foot. There is an echo here of an earlier battle, at Bannockburn in 1314, when english cavalry were breaking in defeat against Scottish spearmen. The king of England that day, Edward II, was given a fresh mount and sent at speed from the battlefield. Thus he remained alive and did not fall into the hands of the enemy. But Richard spurned the opportunity. His reply was grimly defiant. he would finish the matter, and kill Tudor, or die in the attempt. It is so different from Shakespeare. Instead of crying out for a horse, he resolutely refused to use one. This was an heroicway to fight. All contemporaries, even the most critical, spoke with admiration of richard’s courage, seeing his actions as those of a bold and valiant knight. There was a sense of awe at the ferocity of his last attack, and he and his men now hurled themselves into the thickest press of their opponents. 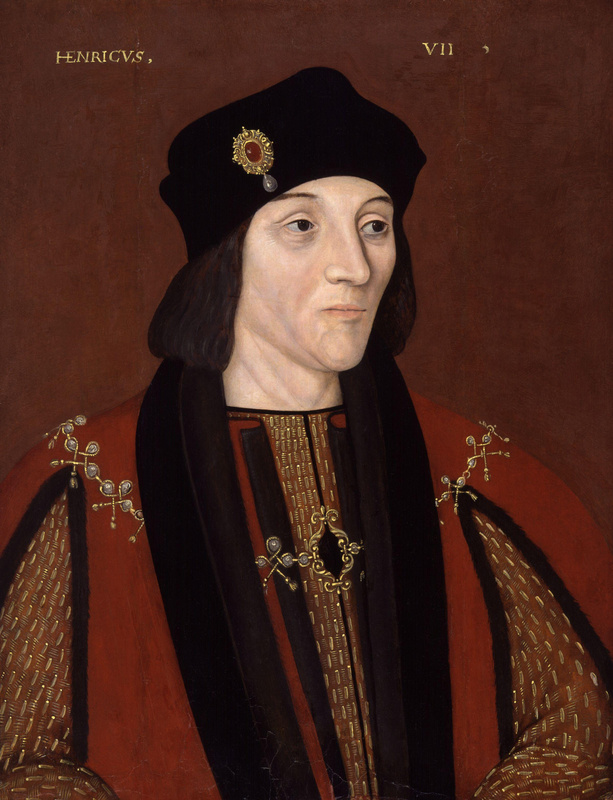 There was still an opportunity to win the battle if his diminishing band could break through and overcome Tudor, for during the Wars of the Roses, once an acknowledged leader was killed his army usually stopped fighting. 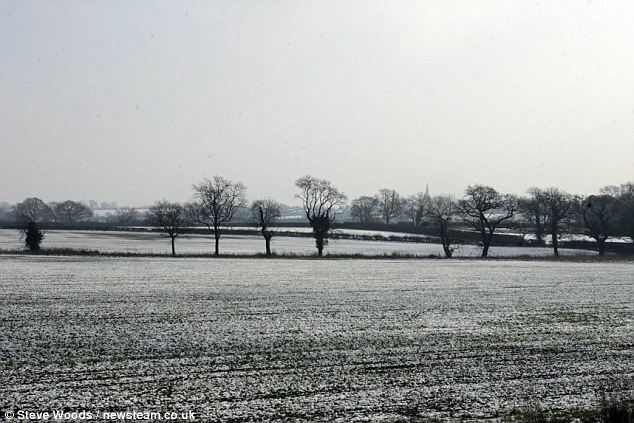 Stanley’s men were approaching and Richard’s division was cut off from help and reinforcement. There was so little time. The King’s men seemed to have joined in a body around his standard, and endeavoured to cut their way through to where Henry stood. They came desperately close to success. They smashed through the pike wall and engaged the small retinue guarding Tudor in savage hand-to-hand fighting. The rival standards were only yards apart as this last surge carried Richard towards his challenger. In the maelstrom of combat the King still had a chance to secure victory. He reached Tudor’s standard and cut it down, killing the standard bearer William Brandon. The toppling standard was bravely retrieved by one of Henry’s Welsh bodyguard. men were struggling viciously all around. It seemed as if Richard might still carry the day. Another of Tudor’s soldiers, Roger Acton, later remembered the last defence of the standard and how he was there ‘sore hurte’. A desperate stand was made, with the fate of the battle hanging in the balance, for Henry’s supporters feared he would now perish under the assault. A strong knight, Sir John Cheney, threw himself in Richard’s way to protect his master. Richard flung him down. Tudor could only have been feet away. But now Stanley’s men had arrived and Richard’s own followers were being overwhelmed. 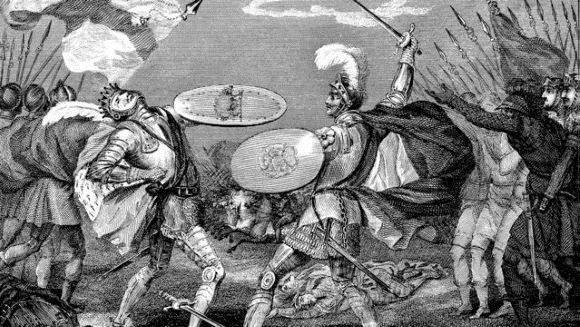 The royal standard-bearer had his legs cut from under him and in a bloody denouement Richard was overpowered with blows and battered to death. Nearly twenty-five years before, his father had perished in combat at Wakefield and his corpse had been mocked with the adornment of a false crown. Now Richard’s gold crown circlet was hacked from his helmet. It was a terrible end to the story.